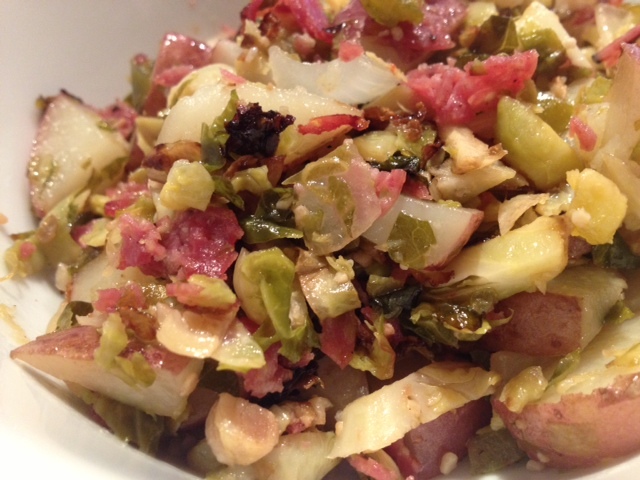 Brussels Sprout, Salami & Jalapeno Hash. 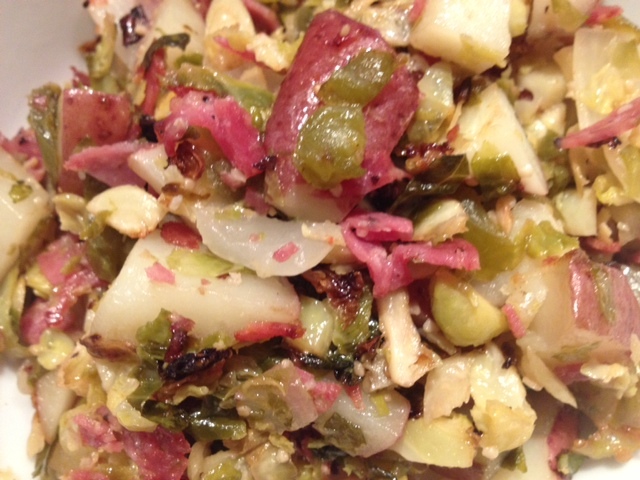 Roasted Red Potatoes With Brussels Sprouts, Yellow Onion, Salami & Jalapeno. 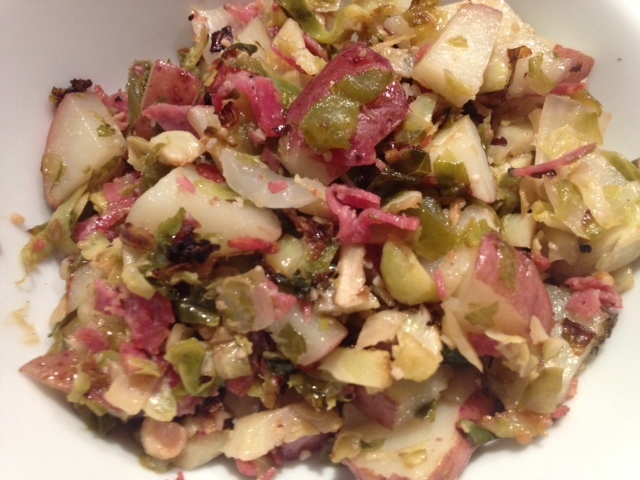 This bold and spicy hash is filled with some of my favorite ingredients of all time. It’s a really versatile dish—you could eat it as a side dish at dinner, for a weekend brunch topped with an egg, or even mix it with lettuce to make a flavor packed salad! If you don’t like spicy foods, you can always substitute banana peppers instead of jalapeno and it will be just as yummy. 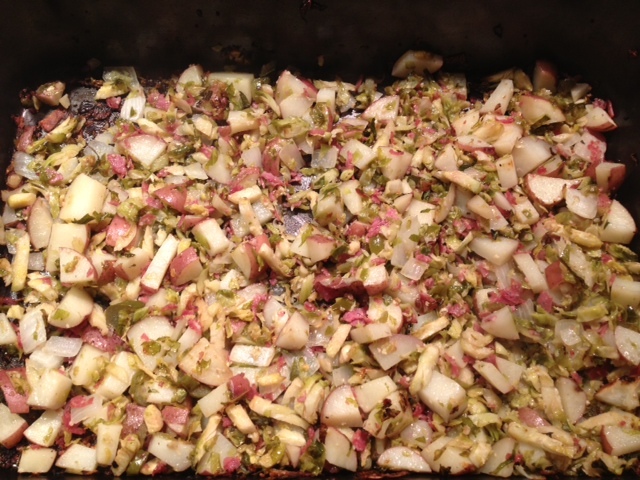 In a large roasting pan, add the potatoes, Brussels sprouts, salami, onion, jalapeno and chopped garlic. Pour the olive oil over the ingredients and toss to combine. Season with a dash of salt/pepper and roast in a 425 degree oven for about 45 minutes. ← Greek Salad With Avocado. I love all of your ideas of how to use this dish! With eggs for brunch sounds heavenly!